Get your own caricature drawn from photo as riding a motorcycle or any other own vehicle of your choice. 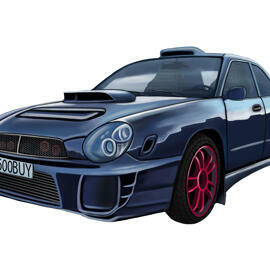 Such a funny caricature ideas as draw a person in any vehicle, will make an original gift idea to anyone, because it will be depicted with personal details and can be used in different ways, whether in business or in personal life. If you would like to make a surprise to your soul-mate, best friend or a colleague who has not any vehicle, then this caricature design will be brilliantly suited as a Birthday gift or friendly gesture to that person. 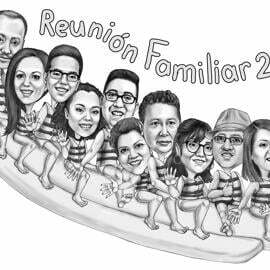 Caricature will be delivered as a printable JPG File on submitted Email. 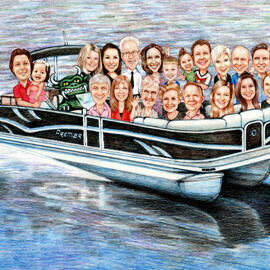 Additional delivery options at extra cost: Caricature printed on Canvas, Caricature printed on Photo-Paper or mug.